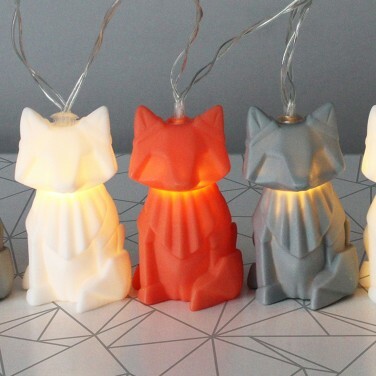 An adorable light addition to kids rooms of all ages, these stylish origami fox string lights are lit by white LEDs for a warm and reassuring glow. 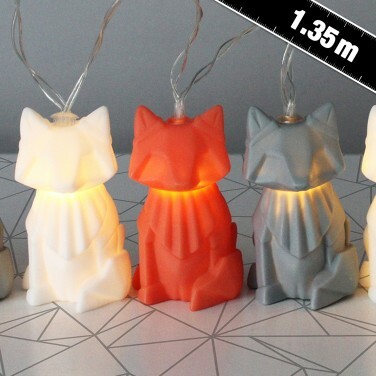 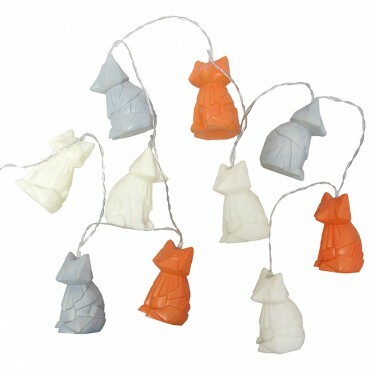 With white, grey and orange foxes on a clear light string, these sweet lights have a contemporary feel making them appealing to older children as well as to the very young. 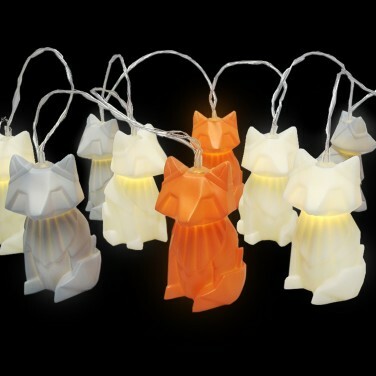 Battery operated, loop around bed frames or hang on shelves and around mirrors for soft lighting that won't disturb and add character and soft light to kids rooms.